The first two days of this class is an intensive version of Leading SAFe. 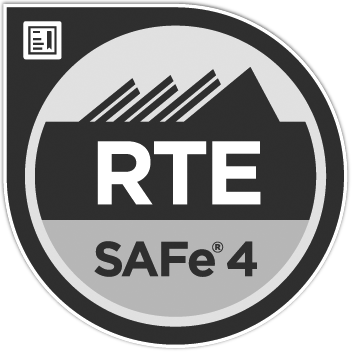 The goal is to prepare certified SAFe Program Consultants (SPCs) to teach the course and act as a certifying agent for SAFe Agilists (SAs). You will also gain the knowledge necessary to lead an enterprise agile transformation by leveraging the Scaled Agile Framework and its underlying principles of lean thinking and product development flow. In the second two days, you will gain the knowledge needed to identify, plan, and implement SAFe programs with Agile Release Trains. Further, you’ll have the briefings, artifacts and templates you need to identify the value streams, prepare the organization, launch Agile programs, plan and execute the major events, and implement effective processes and measures for continuous program improvement. "Great balance of coursework and exercises, and videos to convey information. ; Ken France is a great instructor." 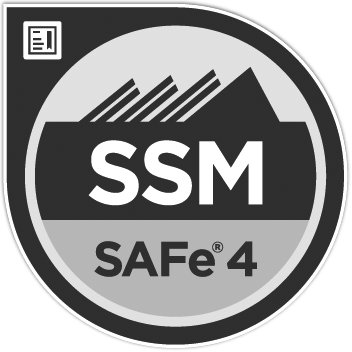 Bring us onsite for a Implementing SAFe® 4.6 with SPC private training for your team!